After your perusing of Part 1 we are now ready for the next installment of our investigation regarding the issue of the possibility of more than one Yahweh in Scriptures. Picking up from where we left off in Part 1 what we want to do next is to recognize that the true nature of Yahweh eloahim is revealed by the evidence that eloahim is the generic term for a family of ruach beings headed by a supreme eloah named Yahweh. A malak is someone you “despatch as a deputy; a messenger,” especially an “ambassador” sent by Yahweh. The word is applied to both ruach beings (angels) and humans, although each case is easily distinguished by its context. Originally, it was an office one holds and not a generic term. How many are aware of the fact that Scriptures indicate that there is more than one personality that is referred to as Yahweh? Strange as it may seem, when one examines the evidence contained in Scriptures, it will reveal a surprising truth that many have never considered. Simply put, the evidence will divulge that there are plural individuals in Scriptures referred to as Yahweh! Let’s proceed onward to examine the evidence. Further defining what an eloah being is, we are informed that the substance of the highest eloah being, father Yahweh, is ruach (spirit, an unseen force, energy) (John 4:23-24), and that he is also described as a being of light (1 John 1:5). This most high eloah is also defined as a consuming fire (Isa. 30:30; Heb. 12:29), a being who dwells in a devouring fire which, for mankind, is an unapproachable form of light (Isa. 33:14; 1Tim. 6:16). He has the physical features of a man—hands, eyes, hair, etc.—because mankind was made in his image (See Gen. 1:26-27, 5:1, Ezek. 1:27; Dan. 7:9). There are also a number of examples where the singular term adon (sovereign) is used when speaking of only one eloah named Yahweh. Accordingly, Yahweh is regularly defined by the singular generic term eloah and by the singular titles el and adon. The plurality expressed by the generic terms eloahi and eloahim are well demonstrated throughout Scriptures, being used for both pagan deities and Yahweh alike. As we proceed with our investigation, we shall deal with the collective noun forms of eloahim and eloahi when applicable only to Yahweh. For now, we need to first deal with the evidence for the plurality of these two generic forms. When not referring to Yahweh, the simple plural form of eloah is אלהי (eloahi), meaning more than one eloah being. A simple plural represents two or more things expressed with a plural verb (e.g., are, were) and plural pronoun (e.g., they, them, these). The collective noun form of eloah is אלהים (eloahim), although at times this term is also treated as a simple plural. A collective noun denotes a plurality of persons or objects in a single group (e.g., the English words family, government, clergy, sheep, army, seed). As a single group, this noun requires a singular verb (e.g., is, was) and pronoun (e.g., he, his, this) despite the fact that there is a plurality within the group. When used as a collective noun, eloahim stands for a single group or family of eloah beings. In Hebrew, and only when used by those more correctly adhering to Yahwehism in reference to Yahweh eloahi in unity, the generic term eloahi, as well as eloahim, take on the qualities of a collective noun. 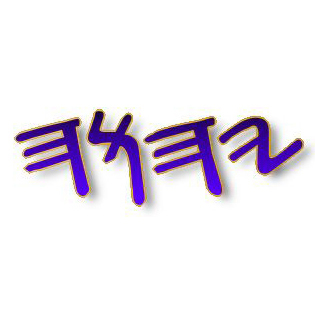 As a result, in Hebrew the verbs and pronouns used for Yahweh eloahim and Yahweh eloahi are also singular. As will be demonstrated in a forthcoming post, this approach is used for Yahweh eloahi to distinguish the special unity among the royalty within the greater body of the eloahim from their unity as expressed with the entire eloahim family. We will have more to say about this unity as we proceed with our investigation. Indeed, the collective noun forms of eloahim and eloahi, when the reference is to Yahweh, explains why the Greek Septuagint translated these terms by the singular θεός (theos), which in turn came into English as the singular term God. But over time the family and unity aspect of these two words have been, for the most part, lost in a movement toward strict monotheism (i.e., the notion that eloah, eloahi, and eloahim are all to be taken as only one personality in the deity) and later Trinitarian monotheism (three co-equal persons in the single god-head or deity). For most readers, only the idea of singularity in the deity has generally been retained. This transformation of meaning has done substantial harm to any good understanding of just how these terms were originally used and has served to disguise the existence of more than one Yahweh (the greater and the lesser) standing in unity. The use of the plural forms eloahi and eloahim, meanwhile, cannot refer to a “plural of majesty,” as some strict Jewish monotheists advocate—a phrase invented as an attempt to explain away the plurality innate within the terms eloahi and eloahim, while maintaining the idea of monotheism as a single personality. This hypothesis is impossible because the singular form “eloah” is often found applied as a direct reference to father Yahweh. If there was a plural of majesty (i.e., use of a plural to magnify the importance of Yahweh) the plural forms would be consistently utilized throughout Scriptures. A plural of majesty also does not explain why the terms eloah, eloahim, and eloahi are often applied to Yahweh in the same discussion. There is simply no consistency in Scriptures that would conform to this strained concept. Further, the clear statements, as mentioned above, to the plurality of Yahweh eloahi and eloahim also dismisses any strict monotheism (only one personality in the deity). Rather, the collective noun attributes of eloahim and eloahi denote unity among different eloah personalities in the concept of deity. Neither do these terms suggest equality among those personalities, as argued by Trinitarians. The evidence will prove that an entirely different construct is being utilized by the authors of Scriptures. Furthermore, the plural form “eloahim,” when referencing Yahweh eloahim, does not express polytheism (many independent deities). Its use as a collective noun speaks of unity and not of independent actions. Rather, the evidence, as we shall see, shows that Yahweh eloahim is a patriarchy: a family of ruach beings headed by father Yahweh, who created all the others and organized them politically into a hierarchy. Time to take a break everyone. When you’re ready just proceed to Part 2 as we continue our investigation.